I was recently commissioned to make two more of my Armor Knight style masks. 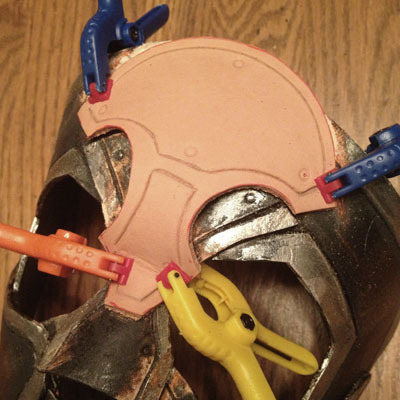 The original mask of this style was not made with a pattern so it was interesting trying to reconstruct what I had done to make it the first time around…. I had some trial and error with cutting out pieces that would fit together and look like the original, unfortunately i didn’t realize this until after i had gotten it painted…in the below photo you can see where I removed the forehead/nose guard piece and had to cut and attach new one. As you can see it turned out alright and the customer was please with the final result!